Changing out an insert from a jaw coupling can be fairly easy or a time consuming process. A lot depends on the area around the coupling and the ease of access. Many customer applications have the coupling placed in a restrictive area, which requires a major effort to dissemble the coupling and change the wearable spider insert. Sometimes the connecting equipment has to be physically moved so that enough clearance is available to move and flange/hub enough so that the spider/sleeve can be replaced. This is where the Snap Wrap (SW Type) style spider offers a time saving solution! 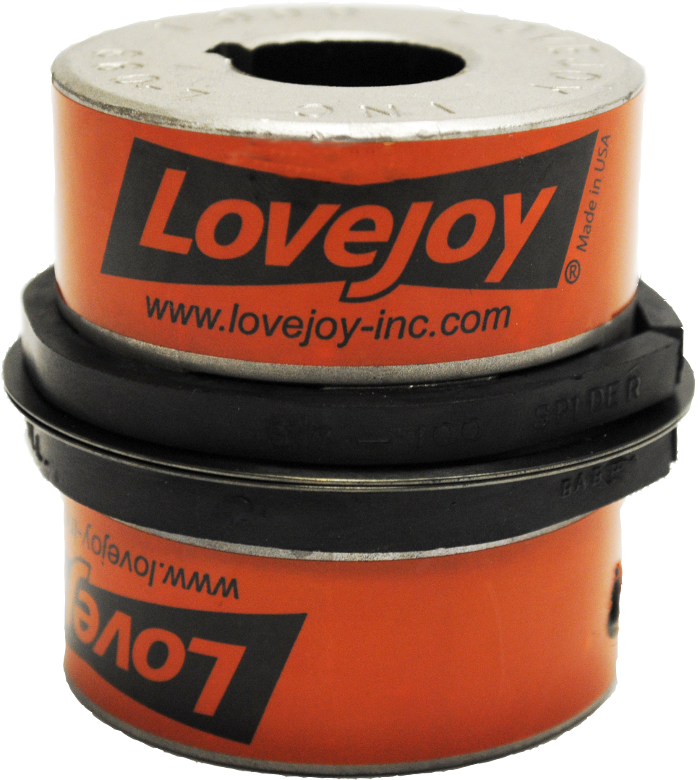 The Lovejoy Snap Wrap insert has been part of the Lovejoy Jaw product line up for years, but is sometimes forgotten as a solution to easy element replacement. The spiders are available in the standard Buna-N material, which gives customers the maximum dampening benefits of all of the spider/insert materials. This design also provides a fail-safe coupling connection that allows torque to be transmitted a short time even after the spider has failed. The main benefit of the Snap Wrap is that the collar or snap ring that holds the spider in place can be removed and the spider can be replaced without moving either hub. This feature allows downtime to be kept at a minimum during spider replacement. The Snap Wrap spider is available in several popular Lovejoy Jaw coupling sizes from L090/095 to L190. The torque capacities for the Buna-N Snap Wrap range from 144 to 1,728 in-lbs. 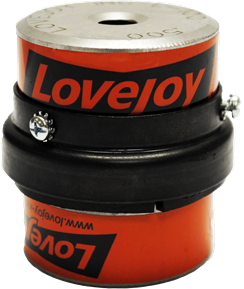 The Snap Wrap design is another example of Lovejoy providing the best coupling fit for every application. Note: The Snap Wrap is limited to a max RPM of 1750. For increased speeds of up to 3600 RPM, a similar fail-safe jaw coupling design with a collar attachment is available. This coupling type is called an LC Type (pictured at left), and consists of one standard L Type hub, one LC Type hub (which provides collar attachment), one standard snap wrap center, and one collar with screws. And for a non-fail safe design, consider the Jaw In-Shear coupling, which also make use of two common L line hubs.